The Experience Bar is the slow coffee bar area of the Roastery. It’s a separate station at the far west edge of the store. 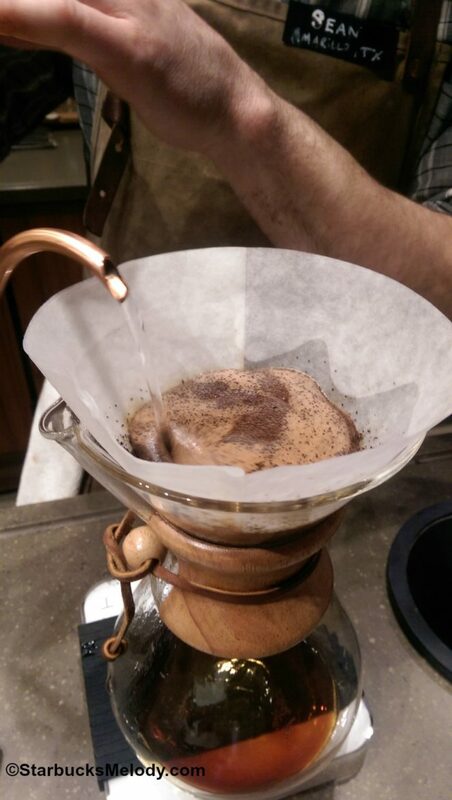 You can get coffee via a siphon pot, Chemex, Clover, or as a shot of espresso via the mod bar. In many ways, it gives anyone the opportunity to sit down, get comfy, and have their own special one-on one-coffee tasting. It’s a place of coffee education opportunity. 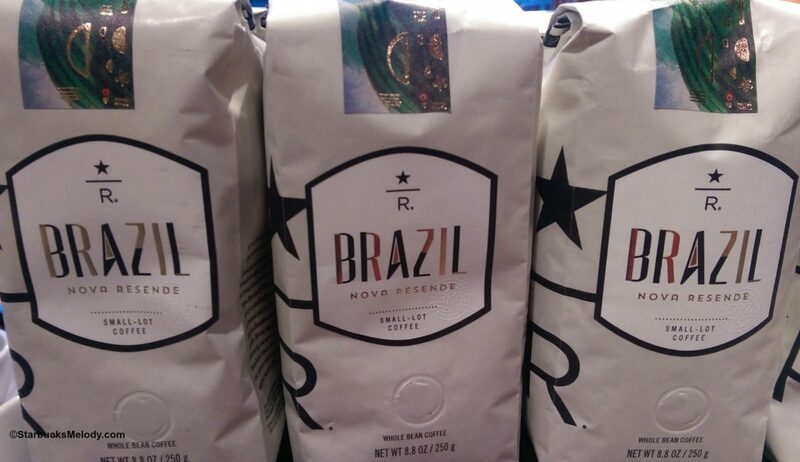 This Brazil coffee is very interesting. It’s a natural processed coffee, creating a much heavier, bolder flavor than a typical Latin America coffee. 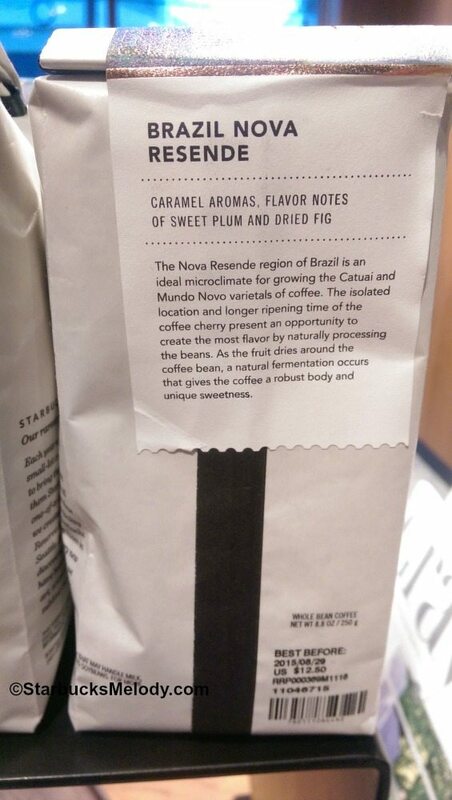 It reminds me of a dark, Indonesian coffee,much bolder and richer than a typical Reserve. I think it could even be a bit polarizing as a coffee: either you’ll like it or you won’t. 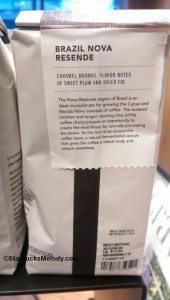 From the Chemex, the bolder notes were dialed down several notches, and it had even a slight sparkle to its finish. I think this is a difficult coffee to describe! 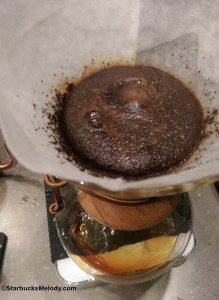 When you are making a Chemex (or any pour over) when the coffee seemingly bubbles as your pour in the hot water, that is called the “bloom” of the coffee. The fresher the coffee, the more pronounced the bloom. I tried to capture the bloom in one of the photos below. Some people could be reading this and wishing that they were closer to the Roastery. 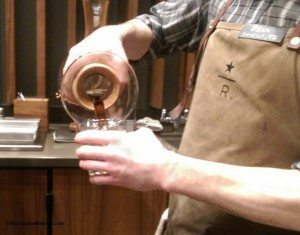 Starbucks has talked about opening roughly 100 “super premium” Reserve stores. They won’t have roasting operations or the vast size of the Roastery, but you will find an elevated coffee experience and greater opportunity to connect over coffee. I’ve heard numerous people say that the first of these is opening quite soon in San Francisco – if anyone has details let me know. I think I’m due for a trip to San Francisco! 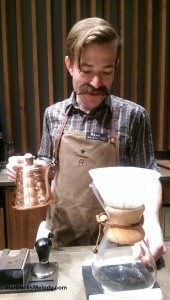 And if you can make it to Seattle, I hope to see you there at the Roastery. If you find me there, come up and say hello! 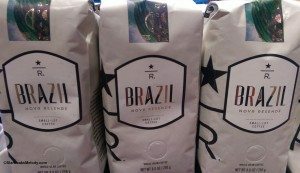 Without further delay, here’s Sean and the experience of tasting Brazil Nova Resende with him. Have You Tried the New Tiramisu Latte at Starbucks? Starbucks Coffee Stamps That Might Have Been. 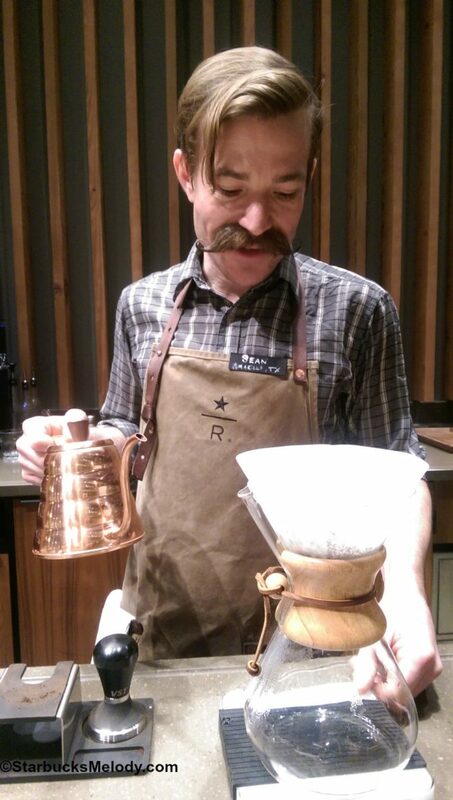 Always nice to get more details of the wonderful Roastery. Sounds like a great experience. Loved this article Melody. In less than a month we can meet at that bar! I can hardly wait, I guess you could say that I’m “blooming” with excitement!! I’m also excited that I’m driving so I can buy a chemex or any other item I want and not have to be scared to put it in luggage.